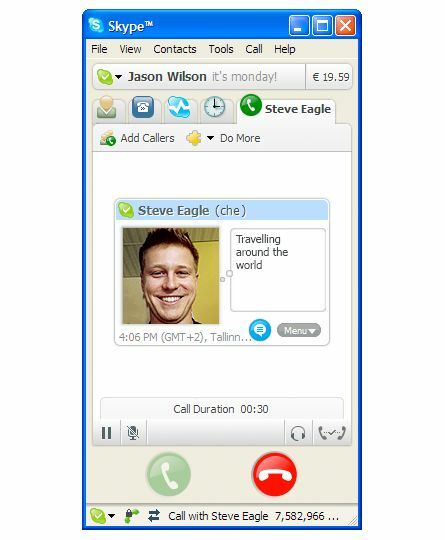 Skype is a free, mega popular Net voice call software that uses P2P technology to provide low bandwidth usage combined with high audio quality. 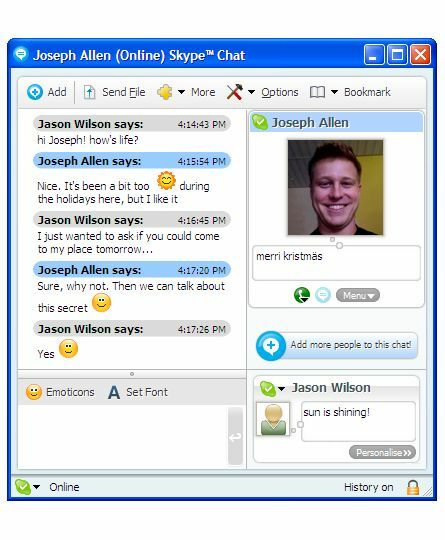 The software has been developed by the same guys who created the original Kazaa P2P application (but they don't run Kazaa anymore), but without anything "shady" in it -- Skype simply takes the idea of P2P networks and extends it into Net phone calls and instant messaging. 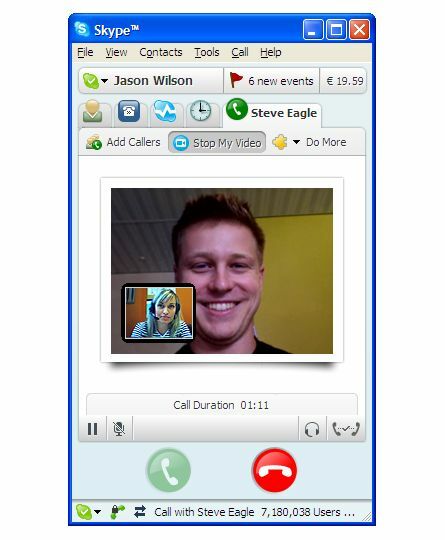 Skype 2.0 has now video calling. 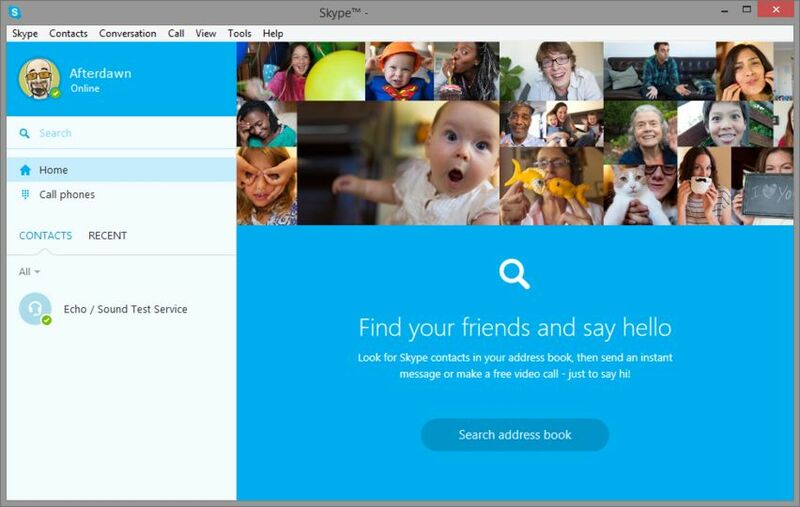 I have been using Skype for about 3 years now and it gets a little better each year. The faster your own ISP connection is the better it tends to be. I also use a VOIP USB phone, I think it works superior to a headset/mike since it by-passes the sound card of your computer. <br/> <br/>Now as for the comments here, the ones from 2005, 2006 are irrelevant by now. There are no free calls either. <br/>After a year the comments need to be reviewed and removed. First thing I have noticed with the latest beta is the change to the contacts list. It seems the abliltiy to group contacts has been eliminated. 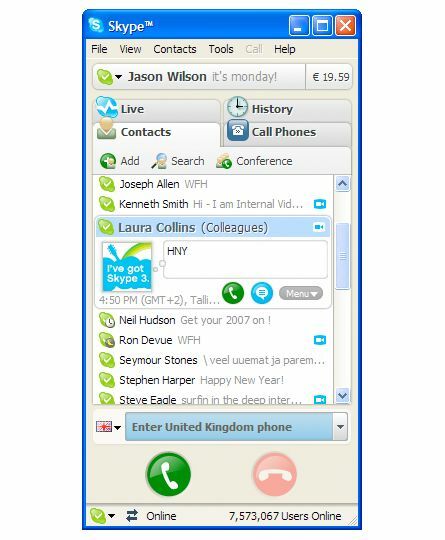 I used to have business, family, friends and Skype-in contact groups which made it easy to find a contact. one of the best applications I have used in a long time.